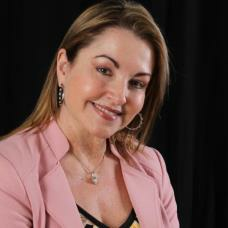 Hi, my name is Gilda Santacana and I began my real estate career in1991 in Kissimmee, FL. Since then, helping sellers and buyers achieve their dreams became my passion. Throughout my Real Estate career, I've consistently been a Top Producer and have received multiple awards in the Central Florida area. Some of these awards include the Quad Gold & Gold Medal Awards, the Office Top Producer Award, and the 100% Club Award. But not only have I received awards and recognitions from other Real Estate Companies throughout my career, I've also been among the Top Real Estate Agents in Orlando in clientele service for five consecutive years. This is chosen by clients and partners that I continuously provide service for and published in The Orlando Magazine on December of every year. Throughout the course of my career, I've accomplished and maintained several specialties and designations. To name a few, Certified Distressed Property Expert (CDPE), Short Sales & Foreclosure Resource Certification (SFR), Accredited Seller Representative (ASR), Five-Star Institute (REO) Certification and a proud member of the National Association of Hispanic Real Estate Professionals (NAHREP). In 2003, a former partner and I decided to expand and formed The Dynamic Team. It consisted of several Professional Realtors from Keller Williams Classic Realty that always exceeded their client's expectations. Our main goal is to provide the best quality of services with honesty, integrity, and professionalism. In result, my career has been a success and I recently joined RE/MAX again as an Associate/Agent of the RE/MAX TOWN CENTRE Office in Orlando, FL. I look forward to assisting new customers, clients, friends & partners. Thank you for your time and opportunity of serving you. It's always my pleasure to work and help others as it is my PASSION. May God bless you and our team!